1066: The Year of the Conquest by David Howarth. This is a funny book. I didn't realize we southerners was that bad. I needed a laugh. Jeff Foxworthy's No Shoes,No Shirt-No Problem! I finally got my hands on The River War, by Winston Churchill....Kindle version. It's a delight and has prompted me to re-read concurrently Three Empires on the Nile. A Statue for America: The First 100 Years of the Statue of Liberty by Jonathan Harris. In just 2 weeks, our beautiful Lady in the Harbor will turn 125. May she stand proud for another 125. May she continue to hold her lamp high. 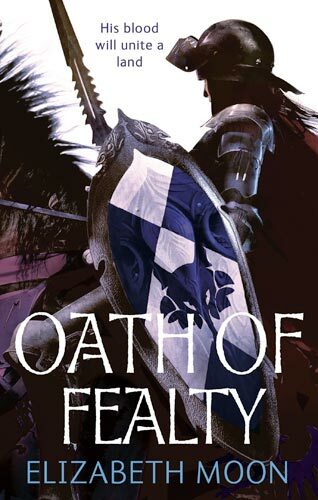 Oath of Fealty by Elizabeth Moon. Book one in the followup trilogy to The Deed of Paksenarrion. Paks is one of my favorite series from back in the day. I had no idea this was out till I saw it at the local library. I started BATAAN: The March of Death by Stanley Falk and after I finish this one I am going to read I Will Bear Witness A Diary of the Nazi Years 1942-1945 by Victor Klemperer.. I'm a little over 100 pages into "Child 44" by Tom Rob Smith. So far I'm enjoying it very much. Just received To Fill The Sky With Pilots which is about the Civilian Pilot Training Program. I took another jaunt by our little library on the way home. I got these beauties. I got some reading material. I finished BATAAN: The March Of Death and IMO, a book that was hard to put down once started. It brings out alot of emotions though, anger, tears, heartache etc.. Trying to work my way through The Sword and the Shield and The World Was Going Our Way, both my Christopher Andrew. Fascinating books but both rather dense and not exactly easy-to-read, which makes things tough on top of all of my regular academic reading for my college classes. I'm also planning on buying some books on the French Foreign Legion soon, and trying to learn more about the FFL. Lots of good memoirs out there. I've read both of those and they are tiny print and both books are very long. You'll learn a great deal though and I enjoyed both of them. I haven't read "For the President's Eyes Only" by Christopher Andrew, but it looks very good and is on my to read list.